Come to Duncan for the Bluegrass Festival. 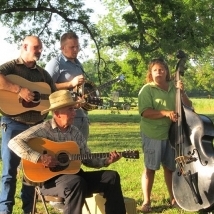 For top-of-the-line bluegrass bands, make plans to attend the Duncan’s Grove Bluegrass Festival. Enjoy toe-tapping bluegrass tunes and dance the weekend away at this fun-filled event. Merchandise vendors and concessions will be set up throughout the grove.